Deepen your sense of the past at sights like Hannans North Tourist Mine and Warden Finnerty's Residence. Eschew the tourist crowds and head to Museum of the Goldfields and Red Hill Lookout. Get out of town with these interesting Kalgoorlie-Boulder side-trips: Menzies Visitor Centre (in Menzies) and Goldfields Exhibition Museum (in Coolgardie). Spend the 4th (Tue) exploring nature at Goongarrie National Park. To see traveler tips, maps, where to stay, and tourist information, read Kalgoorlie-Boulder online vacation planner . Kelowna, Canada to Kalgoorlie-Boulder is an approximately 33-hour flight. Traveling from Kelowna to Kalgoorlie-Boulder, you'll lose 16 hours due to the time zone difference. In February, plan for daily highs up to 38°C, and evening lows to 20°C. Finish your sightseeing early on the 7th (Fri) to allow enough time to drive to Esperance. Esperance is a town in the Goldfields-Esperance region of Western Australia, on the Southern Ocean coastline approximately 720km east-southeast of the state capital, Perth. Explore hidden gems such as Thistle Cove and Twilight Bay. Do some cultural sightseeing at Cindy Poole Glass Gallery and Esperance Stonehenge. Spend the 8th (Sat) exploring nature at Cape Le Grand National Park. Spend the 13th (Thu) exploring nature at Cape Arid National Park. 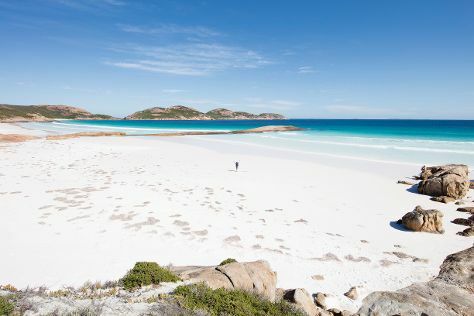 There's lots more to do: tour the pleasant surroundings at Lucky Bay, kick back and relax at West Beach, indulge your thirst for a good beer at Lucky Bay Brewing, and trek along Rotary Lookout. To find where to stay, more things to do, traveler tips, and other tourist information, read our Esperance trip planner . You can drive from Kalgoorlie-Boulder to Esperance in 5 hours. Alternatively, you can take a bus. In February, Esperance is a bit cooler than Kalgoorlie-Boulder - with highs of 32°C and lows of 17°C. Wrap up your sightseeing on the 14th (Fri) early enough to drive to Albany. You'll enjoy a bit of beach vacationing at Anvil Beach and Cheynes Beach. Get outdoors at Nanarup Beach and Ocean Beach. You'll find plenty of places to visit near Albany: Granite Skywalk (in Porongurup National Park), Bluff Knoll (in Stirling Range National Park) and Denmark (Peaceful Bay, Moombaki Wines, & more). Spend the 21st (Fri) exploring nature at Porongurup National Park. Spend the 20th (Thu) exploring nature at Torndirrup National Park. There's still lots to do: stroll through Cosy Corner Beach, admire the striking features of The Church of Saint John the Evangelist, take in the dramatic natural features at The Gap and Natural Bridge, and contemplate the long history of The Albany Convict Gaol & Museum. To find ratings, traveler tips, where to stay, and other tourist information, you can read our Albany trip planning tool . You can drive from Esperance to Albany in 5 hours. Alternatively, you can fly; or take a bus. In February in Albany, expect temperatures between 29°C during the day and 16°C at night. Wrap up your sightseeing on the 21st (Fri) to allow time to drive to Margaret River. You'll enjoy a bit of beach vacationing at Surfers Point and Injidup Beach. Explore hidden gems such as Bunker Bay and Sugarloaf Rock. You'll find plenty of places to visit near Margaret River: Smiths Beach (in Yallingup), Happs Winery and Cellar Door (in Quindalup) and Wise Wine (in Eagle Bay). Spend the 26th (Wed) on a tasty journey with a beer tour and tasting. The adventure continues: enjoy the sand and surf at Meelup Beach, tour the pleasant surroundings at Margaret River Mouth Beach, look for all kinds of wild species at Boranup Karri Forest, and do a tasting at Brookwood Estate. To see maps, reviews, traveler tips, and other tourist information, go to the Margaret River attractions planner. Getting from Albany to Margaret River by car takes about 4.5 hours. Other options: take a bus; or do a combination of flight and bus. Finish your sightseeing early on the 28th (Fri) so you can drive to Fremantle. We've included these beaches for you: Rockingham Beach and City Beach. Do some cultural sightseeing at Fremantle Prison and St Brigid's Church. You'll find plenty of places to visit near Fremantle: Mandurah (Dolphin Quay, Dolphin & Whale Watching, & more), Perth (St. Mary's Cathedral & Kayaking & Canoeing) and Mullaloo Beach (in Mullaloo). The adventure continues: don't miss a visit to The Fremantle Round House, identify plant and animal life at Point Peron, savor the flavors at Food & Drink, and take in the spiritual surroundings of St. George's Cathedral. To find photos, other places to visit, traveler tips, and tourist information, go to the Fremantle online day trip planner . You can drive from Margaret River to Fremantle in 3 hours. Alternatively, you can take a bus; or do a combination of bus and train. February in Fremantle sees daily highs of 38°C and lows of 20°C at night. Finish up your sightseeing early on the 5th (Thu) so you can go by car to Cervantes. Cervantes is a town in Western Australia off Indian Ocean Drive about 198km north-north-west of the state capital, Perth in the Shire of Dandaragan local government area. We've included these beaches for you: Back Beach and Sandy Cape Recreation Park. Step out of the city life by going to Fishing Charters & Tours and Lancelin Island. Go for a jaunt from Cervantes to Badgingarra to see Badgingarra National Park about 48 minutes away. It doesn't end there: take in the dramatic natural features at Stromatolites. To see ratings, maps, and tourist information, use the Cervantes route planning website . Traveling by car from Fremantle to Cervantes takes 2.5 hours. Alternatively, you can take a bus; or take a bus. Wrap up your sightseeing on the 8th (Sun) to allow time to drive to Geraldton. Geraldton is a coastal city in the Mid West region of Western Australia, located 424km north of Perth.At June 2015 Geraldton had an estimated urban population of 39,825. Eschew the tourist crowds and head to Oakabella Homestead, Tea Rooms and Campground and Back Beach. Step out of the city life by going to South Beach and Greenough Wildlife Park. When in Geraldton, make a side trip to see Irwin Heritage River Trail in Dongara, approximately 1h 05 min away. And it doesn't end there: enjoy the sand and surf at Town Beach, pause for some serene contemplation at St Francis Xavier Cathedral, examine the collection at The Tin Heads, and look for all kinds of wild species at Waminda Wildlife Sanctuary. To see photos, where to stay, more things to do, and more tourist information, you can read our Geraldton trip itinerary planning tool . Traveling by car from Cervantes to Geraldton takes 2.5 hours. Alternatively, you can take a bus. In March, plan for daily highs up to 36°C, and evening lows to 20°C. Finish your sightseeing early on the 12th (Thu) so you can drive to Kalbarri. You'll enjoy a bit of beach vacationing at Chinaman's Beach and Pot Alley Beach. Step out of the city life by going to Kayaking & Canoeing and Nature’s Window. Next up on the itinerary: stroll through Rainbow Jungle, get great views at Red Bluff, contemplate the waterfront views at Murchison River, and take in the dramatic natural features at Eagle Gorge. For traveler tips, where to stay, more things to do, and other tourist information, refer to the Kalbarri day trip tool . You can drive from Geraldton to Kalbarri in 2 hours. Alternatively, you can do a combination of bus and taxi. Wrap up your sightseeing on the 17th (Tue) early enough to drive to Denham. Denham is the administrative town for the Shire of Shark Bay, Western Australia. 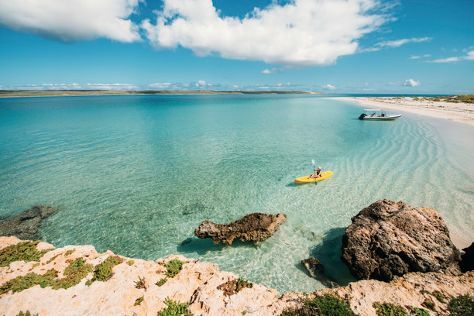 Take a break from the city and head to Hamelin Pool Stromatolites and Shell Beach. You'll enjoy a bit of beach vacationing at Shark Bay and Little Lagoon. Change things up with these side-trips from Denham: Carnarvon (OTC Satellite Earth Station Carnarvon & Carnarvon Space and Technology Museum). Spend the 21st (Sat) exploring nature at Francois Peron National Park. There's more to do: get great views at Eagle Bluff. To find other places to visit, more things to do, and tourist information, go to the Denham trip itinerary maker . You can drive from Kalbarri to Denham in 5 hours. Another option is to do a combination of bus and shuttle. Finish up your sightseeing early on the 21st (Sat) so you can travel to Broome. 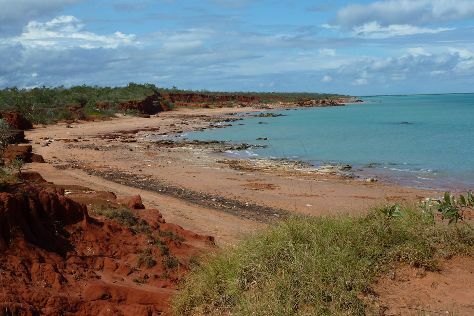 Step off the beaten path and head to Dolphin & Whale Watching and Broome Bird Observatory. Get some cultural insight at Japanese Cemetery and The Courthouse Collection. Spend the 25th (Wed) wandering through the wild on a nature and wildlife tour. There's still lots to do: enjoy the sand and surf at Reddell Beach, soothe aching muscles at some of the top local wellness centers, tour the pleasant surroundings at Cable Beach, and examine the collection at SSJG Heritage Centre. To find where to stay, photos, traveler tips, and more tourist information, read our Broome day trip planning app . Getting from Denham to Broome by flight takes about 6.5 hours. Other options: do a combination of shuttle, bus, and flight; or drive. In March, daytime highs in Broome are 40°C, while nighttime lows are 30°C. Finish your sightseeing early on the 30th (Mon) so you can travel back home.